Our cleaning service covers all the suburbs of Brisbane and provide a range of services from one off cleans to a regular cleaning service. Our staff are professionals who are experienced and provide all of their own equipment. 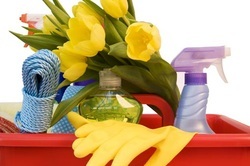 We can provide weekly/fortnightly or even four weekly domestic cleaning in Brisbane. We also specialise in Bond / Exit cleaning or pre-sale cleaning. Let us keep on top of your home’s cleanliness and aesthetic appearance by maintaining it through regular service cleaning. We all have busy lives, so why waste precious time on household duties when you could be spending time with your family or enjoying your favourite pastime?